How a Trip on the Golden Chariot Enriched My Soul. Very few things in life have the ability to stir your soul and make you see life with a new perspective. 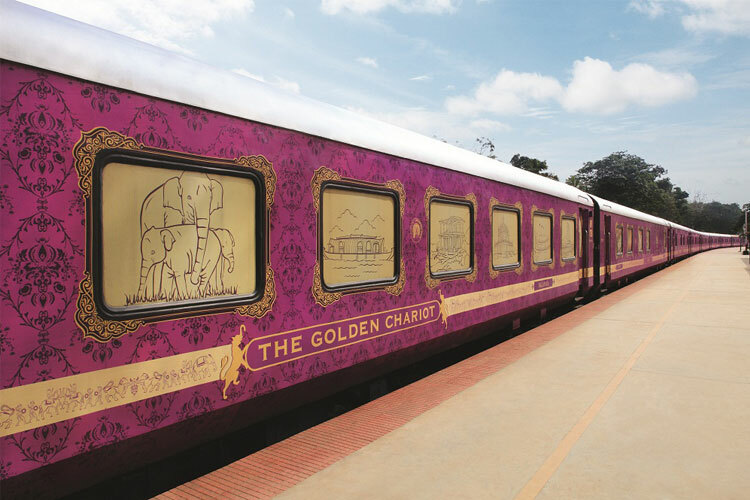 Such was my journey on the Golden Chariot train as I set out on their Southern Splendour tour. The things I experienced both, on and off-board made this trip an unforgettable one. This was a week-long journey that started from Bangalore and ended at Kochi. On the day of departure, I packed all my stuff and reported to the Taj West End Hotel in Bangalore. After a few formalities and a high-tea session, we proceeded to visit the famous ISKON temple, followed by our journey forward. We arrived at the Yashwantpur Railway station by 8.15 p.m. and boarded the Golden Chariot that commenced its journey to the enchanting south of India. A hot and scrumptious dinner was served on the train that instantly brought a smile to my face. The mesmerising Southern Splendour tour began as we entered the Egmore Railway Station in Chennai. We reached the next morning, and I set out to indulge in some sightseeing which included a drive through the Marina Bay that totally refreshed my mind. One moment I was engulfed in the luxuries of the Golden Chariot and another I was soaking in the nautical magic of bountiful nature. The nearest destination was Mahabalipuram which was about one and a half hours away from Chennai. The 8th Century stone-cut Hindu temples here got me awestruck. Located on the seashore, this UNESCO World Heritage Site was a scene to behold.Post a lavish lunch at a 5-star resort in the city; I headed to Pondicherry station where the train awaited us. I could not be happier to indulge in an authentically south Indian dinner on the train after I had an eventful day off-board. I finally snuggled into my comfortable bed in my cabin which was just what I needed for a few hours of relaxation. The train that was now halted at Pondicherry came equipped with forty-four air-conditioned cabins in eleven inter-connected saloons, twenty-six twin-bedded cabins, and one cabin for physically challenged passengers. The thought put into the luxury and comfort of the customers is what impressed me the most. As dawn arrived on the third day, I had a quick yet hearty breakfast onboard and moved on to visit the famous Auroville Ashram. Post some sightseeing and shopping;I was back on the train by the end of the day. I couldn’t resist the aroma of freshly prepared dinner on the train by the professional chefs, so I headed straight for dinner. Day four started on a rather interesting note as we arrived at the historical city of Thanjavur. All the passengers set off for some touristy activities. I personally enjoyed the visit to the architectural wonder of the Brihadeshwara Temple Complex that was built in the early 11th Century. A fascinating thing about this old temple complex was the history and dedication behind it. After a delicious lunch at the Tanjore Hotel, we headed to Trichy town that was at a one-and-a-half-hour drive distance. After spending the afternoon exploring the historical monuments, I was headed to the Trichy railway station where the Golden Chariot waited for its weary travellers. The next day we galloped into Madurai where the renowned Meenakshi Temple finds its home. This vivacious city is also famous for its silk saris, aromatic spices, and pearls. After a day of roaming in the local markets and some brief sightseeing, I returned to the train by noon for lunch and a bit of rest. On the sixth day, early morning the trained reached Nagercoil station which was thirty minutes away from the sunrise point at Kanyakumari. This was a truly overwhelming experience for me, watching the sunrise from the heart of the sea at 5 a.m. I could feel like all my worries had driven away with this one special moment. We retrieved to the train and had breakfast, freshened up and set out for our excursion to the Padmanabhapuram Wooden Palace. Later, I returned to my cabin as we left for the next destination. The pristine Kovalam beach near Trivandrum simply took my breath away! On the seventh day, early morning we were at the Alleppey jetty point to experience the Kerala backwaters. We cruised through the Punnamada lake and had a lip-smacking lunch onboard. By evening we were at Fort Kochi Town and visited the local spice markets for great deals. By night all the passengers were on board. 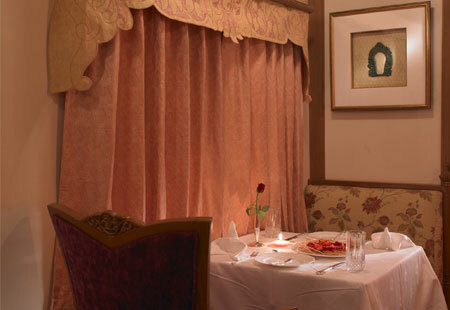 After a delicious dinner at one of their gourmet restaurants, I got into bed for my last night on the train. The next morning, we were back in Bangalore, where this beautiful journey came to an end. It was a trip that got me too many unforgettable experiences that I will treasure for a lifetime. Worldwide Rail Journeys deserves a special mention, as their user-friendly website helped me book my train tickets with great ease. Why the Deccan Odyssey is the Ultimate Train Tour Experience. 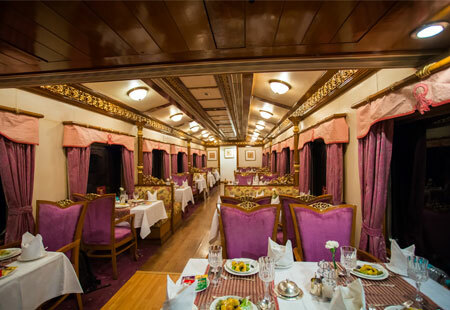 A tour to the Deccan in Asia’s leading luxury train.